Ah, yes. 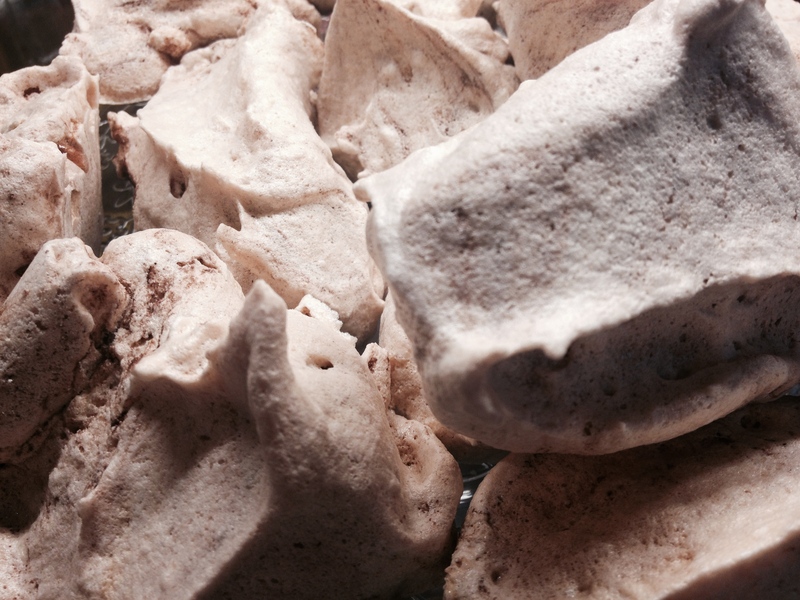 The fluffy pillows of billowing meringue….crunchy on the outside, chewy within. Add a splurge of cream and some tart berries and just dissolve into a taste and texture sensation that is hard to resist. Anyway, here is my tried and tested recipe for lovely meringues. I just make them in haphazard dollops which suits my aesthetics but feel free to pipe and swirl to your heart’s content. 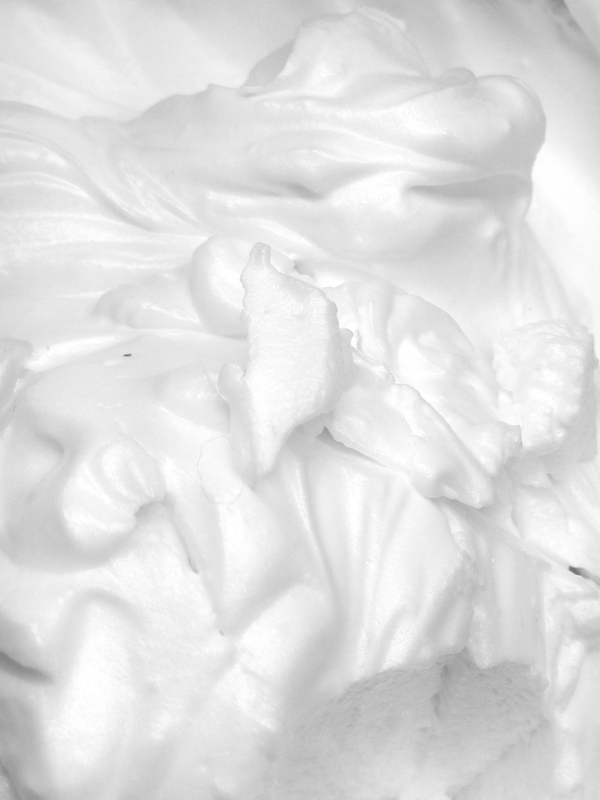 Or spread into a circle to make a pavlova base (which if you drop, like I did, turns into a cracking Eton Mess!). Just watch the baking time…my dollops take about 1¼ hours in my temperamental fan oven but I guess the thinner the meringue, the shorter amount of time it takes. You could always try one to see…. Preheat your oven to 110ºC (100ºC fan) and lay out two baking trays with baking parchment on (I find parchment is the only thing that doesn’t stick). 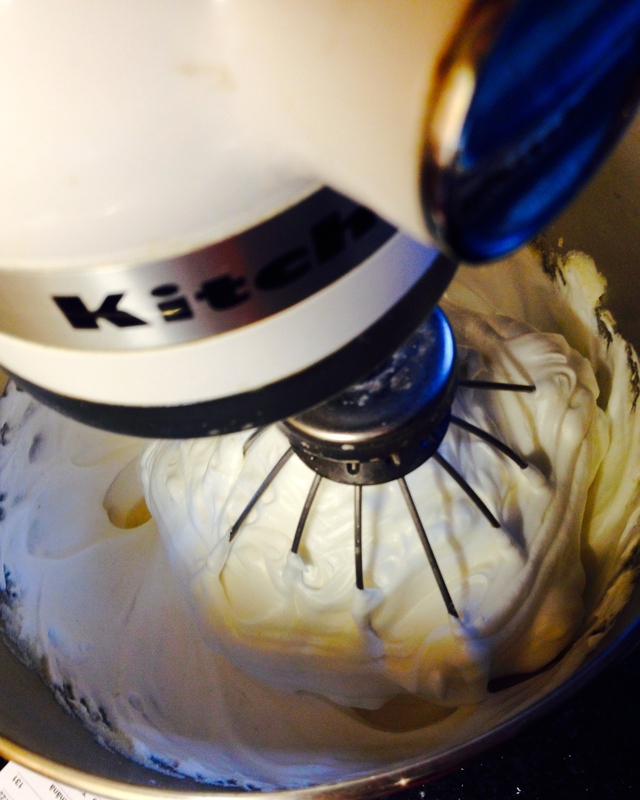 I use a Kitchenaid to make my meringue and unless you have arms of Thor, you will need some sort of electric whisk. I also use a metal bowl which is super clean – any grease on the whisk or bowl will cause trouble. Whisk the four eggs whites on a medium speed until they resemble billowy cumulus clouds and stand in stiff peaks when the whisk is removed (this takes me around 5 mins with the Kitchenaid on no. 6). Then, upping the speed, add the caster sugar a dessertspoonful at a time, waiting about 3 secs in between each spoonful. When all the sugar is whisked in sift in one third of the icing sugar and carefully fold into the meringue using a metal spoon. Repeat with the next third, then the last. Be very careful doing this because you don;t want to lose the air in your meringue. Using a couple of tablespoons scoop out dollops of the mixture and place on the baking parchment. My dollops are about the size of a lemon. More than a mouthful…just. Bake for about 1¼-1½ hours. How do I make…..Pesto? How do I make…..Cheese Sauce?